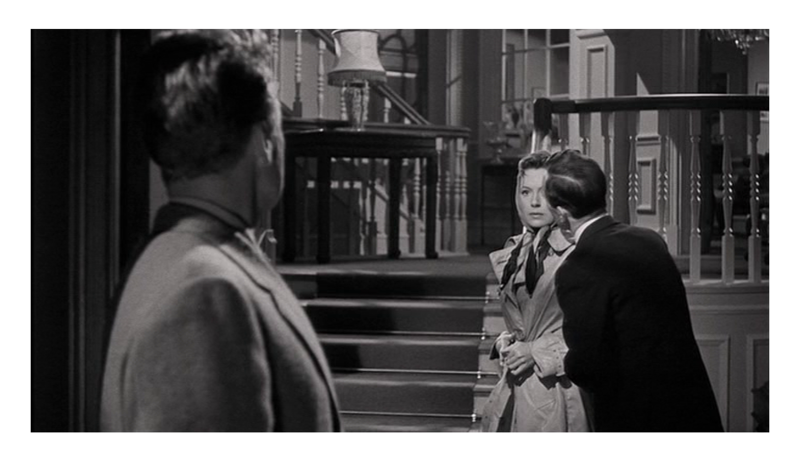 In the 1940s, a writer, Maurice Bendrix (Van Johnson, A Guy Named Joe), begins a clandestine relationship with a married woman, Sarah Miles (Deborah Kerr, The Innocents), whom he tries to convince to leave her husband. Sarah disappears abruptly and Maurice is determined to find the real reasons behind the end of the affair. 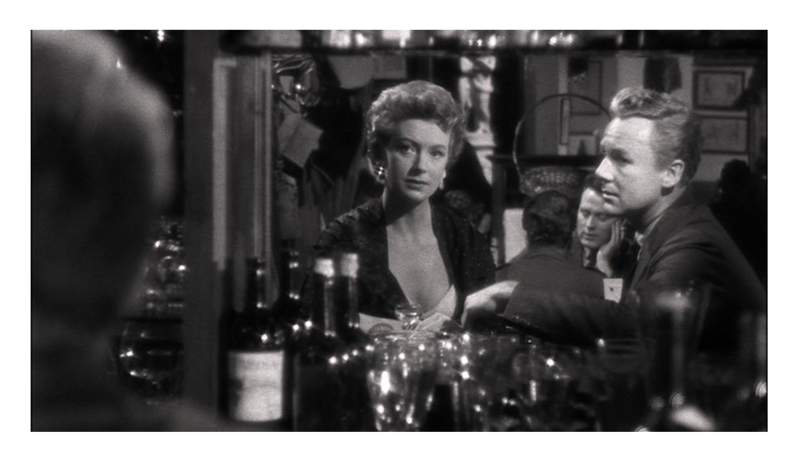 Despite its title, The End of the Affair, directed by Edward Dmytryk (The Young Lions), is really about religion and spirituality — it chronicles a turbulent journey of spiritual awakening. The film works because all elements of filmmaking are top-notch and the subject matter is treated with delicacy and intelligence. The film is based on Graham Green’s semi-autobiographical book. Green was Catholic and while he tended to downplay the church’s influence on his work, many of his books reflect his Catholic upbringing. This adaptation of one of his most celebrated books is interesting precisely because of its exploration of Catholic ethos. The film begins like most movies about illicit love affairs. The first half is a straightforward love story. The End of the Affair takes an unexpected turn about half way through. This is when the movie gets really interesting. I thought it did a commendable job dealing with such esoteric things as faith, pietism, theology, etc. One of the film’s main points is that suffering is an integral part of emotional and spiritual growth. True Nirvana has to have a component of suffering, the film argues. The End of the Affair presents religion as a medicine for the sickly soul. According to the film, you seek out God when you are in distress, and serve him through more pain. And punishment is a privilege, not a burden. It’s in this cloud of religious dogma that the entire love story plays out and that makes for a challenging, fascinating viewing experience. 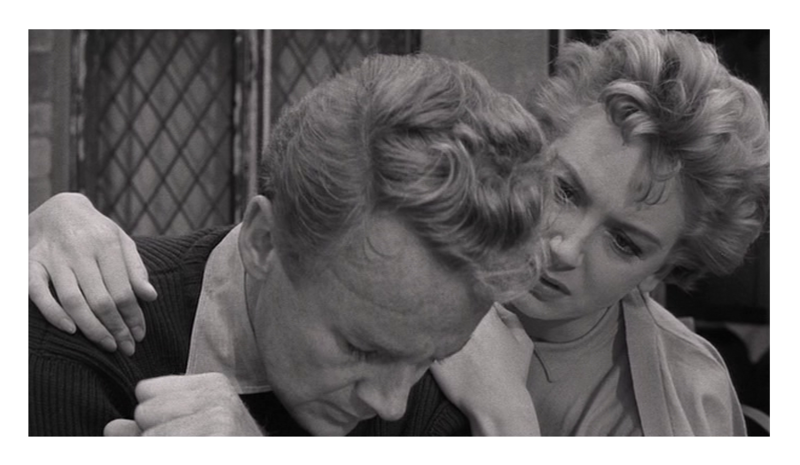 Van Johnson does a surprisingly good job here. It’s a rather difficult role that Johnson plays well. However, the film really belongs to Deborah Kerr. She gives a truly remarkable performance as the troubled married woman. It’s funny that Kerr, who, in my opinion, is the epitome of poise and propriety, played so many unfaithful wives. She can get away with portraying amoral characters because she always comes across as a classy lady. Kerr’s Sarah is one of her most interesting creations. Also, Peter Cushing (Horror of Dracula) gives a wonderfully sensitive performance as Kerr’s impotent husband. Nothing here prepares you for Cushing’s charismatic performances in countless of horror movies. John Mills (Ryan’s Daughter) has a small, semi-serious role as a not-too-bright private detective. It’s a quirky touch that works amazingly well within the movie’s very serious tone. 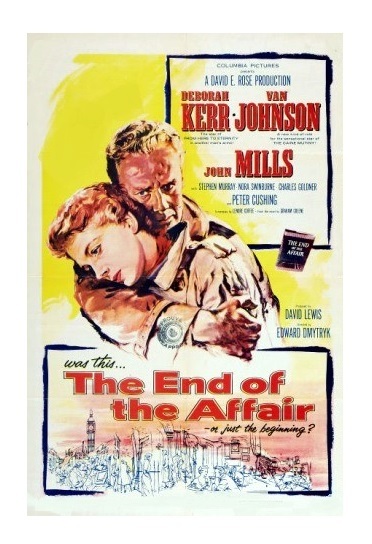 The End of the Affair is one of the most intriguing romantic melodramas I’ve seen. It surprises you at every turn. It also contains one of Kerr’s best performances. Remade in 1999, with Julianne Moore (The Hours) and Ralph Fiennes (The English Patient), and Stephen Rea (The Crying Game). B&W, 105 minutes, Not Rated. Deborah is terrific in this film. I love the scene in the rain where she cries and begs him not to leave her alone. Yes. Kerr has many great moments here. I am only familiar with the title and cannot recall having the opportunity to see this film at any time. Your review has intrigued me and I shall certainly seek it out. Thank you. The remake, with Julianne Moore, is good too! Your review has me intrigued. I am now kicking myself that I didn’t watch this film when it aired on TCM recently. I’ll have to remember to look for this one. It’s really an interesting movie. I’m sure TCM will show it again.